The watchdog group Cause of Action is suing the Justice Department for records on what is says are possible unethical disclosures of confidential taxpayer information to the White House, the organization announced Thursday. 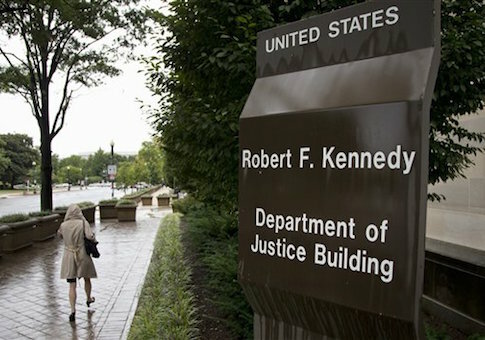 The group discovered in April that attorneys from the Justice Department’s tax division, some of whom were also involved in litigation over the IRS targeting scandal, were being detailed to the White House to conduct background checks on potential executive nominees. "The detailing of Tax Division attorneys to the White House is of serious concern because these lawyers, while still at DOJ, obtain unique access to the confidential taxpayer information of parties under investigation or in litigation with the United States," Cause of Action says in its Freedom of Information Act lawsuit filed this week. "These lawyers bring this knowledge with them to the White House, and then, while at the White House, they obtain access to additional confidential tax information relating to the president’s potential nominees for executive and judicial appointments." Cause of Action says its investigations into the practice have found no policies or safeguards to prevent confidential taxpayer returns from being accessed or disclosed. The watchdog group filed a Freedom of Information Act request in April seeking any such policies from the Justice Department and IRS, but it said it has yet to receive a response, leading it to file suit. "Given the IRS’ track record of failing to protect confidential tax information, this lack of agency oversight is a threat to our privacy and democracy," Cause of Action president Dan Epstein said in a statement. "Ethical and legal protocols at these agencies should be held to the highest standards, especially when government attorneys are accessing confidential taxpayer return information while intermittently leaving to work in the White House." This entry was posted in Issues and tagged Department of Justice, FOIA, IRS. Bookmark the permalink.